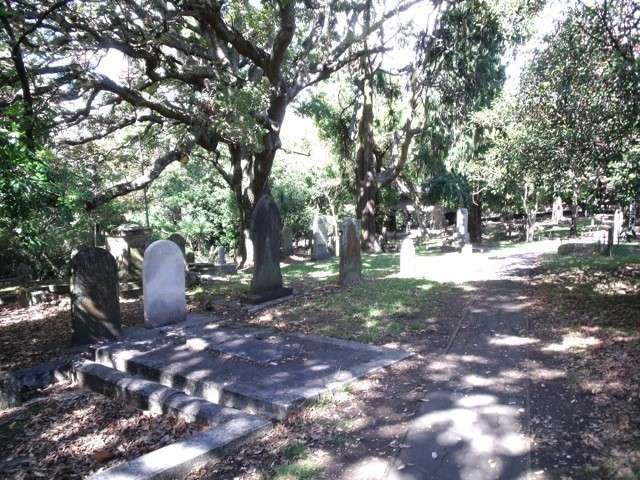 The Wesleyan cemetery was first used in September 1852, when James Martin Buller, the sixteen year old son of the Reverend James Buller, died and was buried in what became known as the General Cemetery. Earlier in the year the five cemeteries had been described as the Church of England cemeteries, generally used by Presbyterians, Wesleyans, Roman Catholic and Jews, and a section adjoining the Church of England cemetery reserved to be given as a general burying ground. On my visit there in April 2011 - I could not find their headstones. 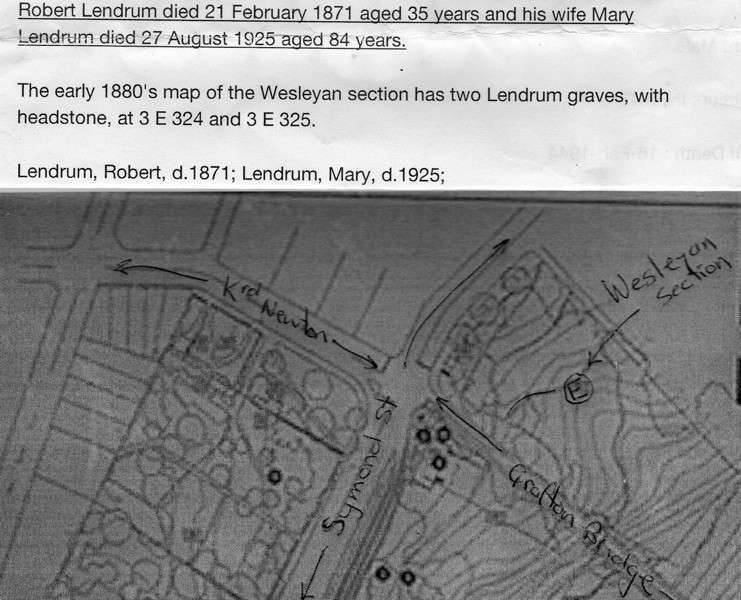 The early 1880's map of the Wesleyan section has two Lendrum graves, with headstone, at 3 E 324 and 3 E 325. Wesleyan section headstone, at 3 E 324. Wesleyan section headstone, 3 E 325. There is a Bassett on the memorial of Anglican removed graves, there are several possibilities. The Map of Anglican plots has Bassett at R 18. The Anglican St Paul's register has Elias, Ellen and William - two children and an adult.